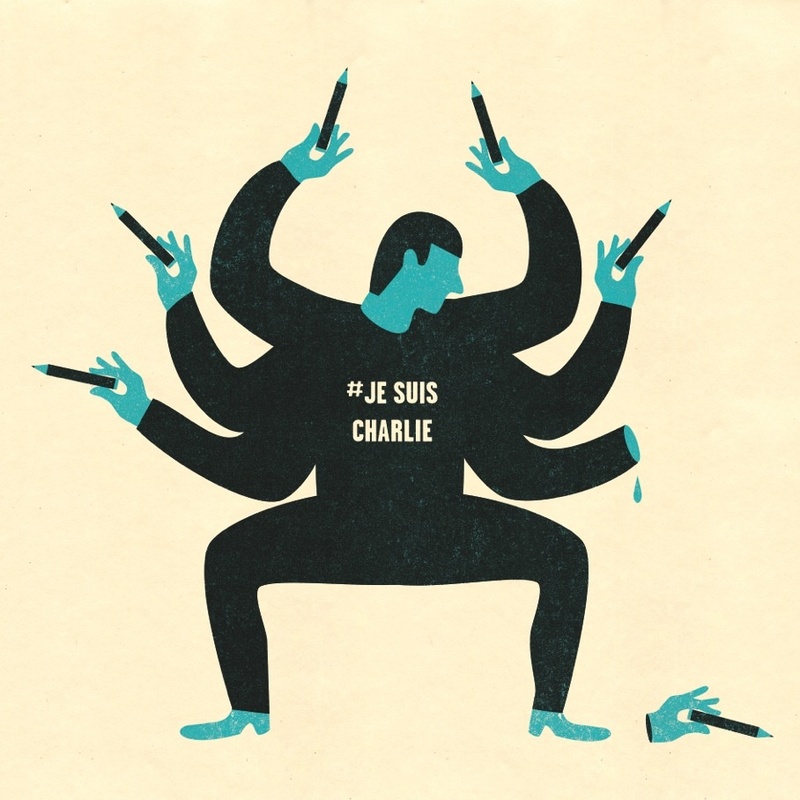 Ian David Fohrman » Je Suis Charlie? 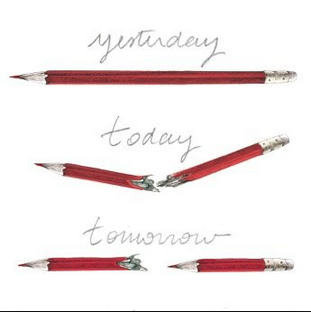 The day of the Charlie Hebdo Massacre I, like almost a million others (according the the #jesuischarlie hashtag), posted a clever icon to my Instagram account meant to condemn the violent act and support free speech. As sometimes happens when I post something strongly opinionated about a complex situation, I subsequently read a few ideas that made me question the statement “Je Suis Charle”, and gave me a tinge of embarrassment about the post. There is nothing complex about condemning violence. Especially in this situation, there are no ambiguities or justifications for the violence. The acts of the gunmen were indefensible and hideous. However, free speech and how to reconcile vastly different world-views in a multicultural society are complex ideas. I fervently believe that words and ideas hold immense power. Our world is shaped by ideas and the language with which those ideas are communicated. On a large scale, ideas communicated through ingenious visual, written, and spoken language can create the Bill of Rights or the Holocaust. The Holocaust is one of the worst examples in human history of how language, stereotypes, and propaganda can be to sway a population into tolerating and even inflicting violence while the Bill of Rights is one of the best examples of how language can shape a relatively peaceful and prosperous society. On a smaller scale it directs how we as individuals interact with the world, how we treat others, and how we influence the world around us. I embrace the Buddhist idea that thoughts, words, and actions have equal power according to the Noble Eightfold Path. The easiest way for the Western mind to understand this is something along the lines of the Gandhi quote, “Your beliefs become your thoughts, your thoughts become your words, your words become your actions…” The Buddhist concept doesn’t require this kind of causal chain. It gives thoughts and words inherent value of their own. However, this makes it easy to see why words matter and have power on a day to day level. A potent example of the subtle but powerful effect of language is the use of homogenizing dehumanizing slurs used in war. Every conflict the United States has been involved with has a corresponding racial, ethnic, or nationality based slur: The “krauts” in WWI and WWII, the “gooks” in Vietnam, and too many generalized Arab slurs to list in our last round of conflicts. Dehumanizing language serves to take some of the weight out of killing other humans. It’s a way for people to feel less terrible about doing terrible things. So how can I reconcile this idea with an idea of unrestricted free speech? If speech is so powerful than why should hateful speech be allowed to be propagated in our society? Of course I want to condemn violence but do I want to associate myself with what some believe is a xenophobic, racist publication bent on offending and creating hurtful content? Can’t speech itself cause harm? His general argument, as well as that of Jordan Wiessmann at Slate Magazine, is that we should condemn killing but we should also condemn speech we think is inappropriate and distasteful. The obvious problem with this idea is that well all have our own ideas about what is appropriate or in good taste. It’s easy when the ideas communicated are ubiquitously understood as positive or are ideas you personally agree with. It’s more difficult to defend ideas that we nearly all find hateful and offensive: neo-nazi groups, the Westboro Baptist Church, or the KKK. To best understand where our society stands on free speech we need to look at the challenging cases. We need to look at the times when the idea and its limits are called into question. The US Supreme court defended the KKK’s right to make hateful speech in (1969) Brandenburg Vs. Ohio stating, “The constitutional guarantees of free speech and free press do not permit a state to forbid or proscribe advocacy of the use of force, or of law violation except where such advocacy is directed to inciting imminent lawless action and is likely to incite or produce such action.” Our nation has decided that we value the right to say hurtful things as long as the don’t immediately incite law breaking. Most other western nations have made some variation of the same decision. When we look to the limits of what speech should be protected the conversation gets a little more difficult and less black and white. The discussion becomes even more difficult when we realize that there are those who don’t make an assumption that ANY freedom of speech is a societal virtue. It is difficult enough to make sense of the issue with a given underlying assumption that free speech is important and it’s just a matter of finding where to draw a line. That’s an assumption that we as Americans and Westerners take for granted. When we try to reconcile our belief that freedom of speech holds an inherent value necessary for a healthy society with another set of beliefs that grants it no such value and, in fact, believes that it is a grave danger to society, the conversation gets more philosophical and far murkier. Clearly there are those that are willing to kill and die to prevent certain speech that, to them, is more important than life itself. On a recent visit to Beijing I heard over and over from educated thoughtful citizens, “Sure, we know we are censored in the information we can view and disallowed to talk about certain things, but how else is the government supposed to keep 1.3 billion people under control and give us peace and prosperity.” They understand the idea of free speech but legitimately feel that it is a value worth trading for safety, security, and financial gain. Of course, it’s easy to point out that none of those benefits are necessarily mutually exclusive with free speech, look at the West, but that’s not the point. The point is that China, as a country, and those voicing that opinion believe that freedom of speech is more a threat than benefit. One only needs to look to China’s West to see that philosophy taken to its extreme. North Korea is one of the least free places on this earth. It’s a massive social experiment at the furthest reaches of governmental control and restriction of the population. It’s a place where you can be publicly executed for watching a non-approved television show or have your entire family sentenced to life in a death camp and torture for allegations of questioning the government. There is none of the mucky questions of the reach and application of free speech when non exists at all. Centralized information means centralized power and historically the disallowance of free words and ideas equates to a lack of human rights. So, with this in mind, it’s because speech holds so much power that we must protect it. There are two ideas that have been dredged up. The first is that other societies view of freedom of speech is diametrically opposed to the viewpoint that we take for granted. This is important if we want to find any level of comprehension of these atrocities. The other is that given that assumtion, we as a society, have chosen to draw a line in the sand somewhere regarding free speech. We allow neo-nazis to march in Chicago but don’t allow crosses to be burned on lawns. That the line could be drawn elsewhere is a challenge to the usual black and white view that I, and I think many other likeminded folks, have tended to hold. These are important philosophical challenges to contemplate, for no other reason, than to appreciate the society we live in and understand why the Charlie Hebdo staff didn’t die in vain. After delving deep and seriously considering the issue from multiple angles, I stand proudly by my tiny little Instagram statement. I personally don’t go out of my way to offend anyone but I’m all for mocking what I believe to be injustices and have no qualms about making a questionably lude priest joke here and there. Charlie Hebdo created cartoons that at times offended but they also spoke truth to power and, whether or not anyone thinks their work is well done, funny, or just offensive, I believe the satirist stands to do more good than harm in our world. Positive thoughts go out to the friends and families of all those slain. 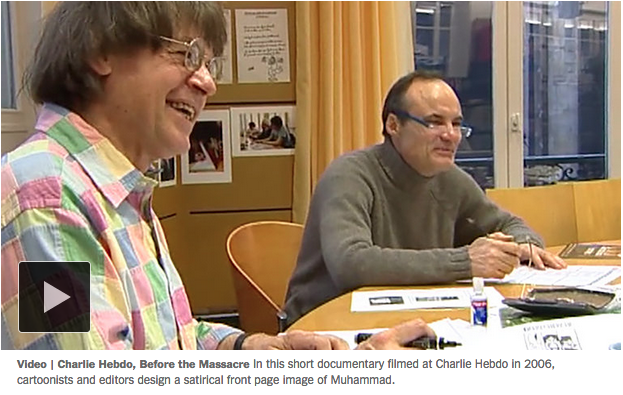 Please enjoy this video of the Charlie Hebdo staff deliberating on what cover to publish as a response to the protests over Danish cartoons that resulted in over 200 deaths.